David Johnson holds a BSc (Hons.) degree in Natural Environmental Science from the University of Sheffield (2002) and a PhD (2008) studying “specialised root functioning in sedges: physiological activity and ecological significance” (supervised by Professor Jonathan Leake). This project provided the first systematic analysis of nutrient capture by sedges and he identified the dauciform root status of several species for the first time. He subsequently worked at Rothamsted Research as a Research Assistant in the Department of Plant & Invertebrate Ecology (which involved working on the famous Park Grass Experiment) before re-joining the University of Sheffield in 2010 as a research technician working for Professor Duncan Cameron and Dr Gareth Phoenix. 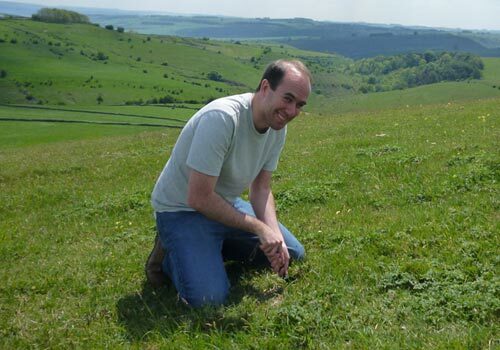 In 2010, David worked on a NERC funded project studying resource partitioning for phosphorus in a phosphorus-limited plant community which aimed to determine the extent to which grassland plants differ in their ability to take up phosphorus from inorganic and organic supplies in the soil and provided the first evidence of preferential use of different phosphorus sources among co-occurring species. Then, in 2011, he worked on the EPSRC funded “Foams for living architecture” multi-disciplinary project which aimed to develop a new foam suitable for use as a growth substrate in green roofs and green walls. In 2012, he joined David Beerling’s research group working on a Leverhulme Trust funded project (2011-2016) studying Ecosystem CO2 starvation and Earth’s minimum CO2 concentration and a European Research Council Advanced Grant project (2014-2016) investigating the CO2 regulation of Earth’s ecological weathering engine, prior to his appointment as Research Technician for the Leverhulme Centre for Climate Change Mitigation in 2017.